I am the best-selling author of over 170 children's books including the popular Cat in the Hat's Learning Library for Random House. 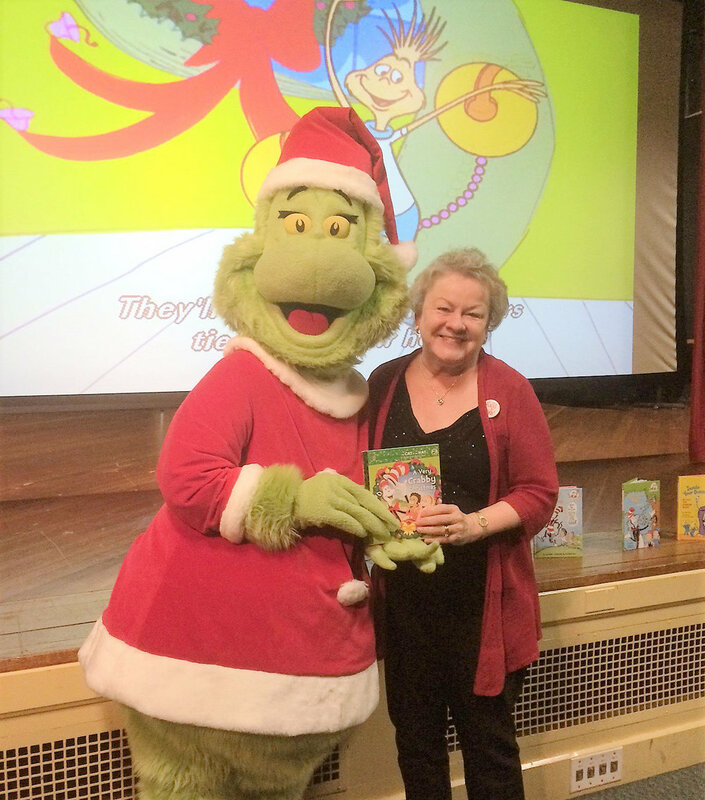 Tish Rabe is a best-selling children's book author who has written over 170 books for Sesame Street, Disney, Nickelodeon, PBS Kids, Curious George, Blue's Clues, Huff and Puff and many more. In 1991 following the death of Dr. Seuss she was hired by Random House to write The Cat in the Hat's Learning Library, a series of popular rhyming science books for early readers. Her Cat in the Hat book, There's No Place Like Space, makes the Wall Street Journal Best-seller list for non-fiction every year. A prolific children's song writer, Rabe has written more than 200 children's songs and received an Emmy nomination for Musical Direction for her work on the PBS award-winning children's science series, "3-2-1 Contact!" Trained as a professional singer, she is referred to by teachers as "The Singing Author" because, not only does she do presentations for students and adults on how she writes children's books, she also SINGS to her audiences. My books help students learn fun facts about science and the rhyming text helps them learn scientific vocabulary. For example, "When birds want to go on a winter vacation they all take a trip and they call it migration." — Fine Feathered Friends by Tish Rabe. I have been writing for Dr. Seuss and others for over 35 years. I'm not an authority on the subjects in my books, but I work with an expert in the field for every title. In my 30-minute PowerPoint presentations, I share how I write children's books, the challenges of writing in Dr. Seuss's unique style, what it means to write a children's song, and I sing to my audiences. I leave time for students and teachers to ask me questions. I also send out book order forms so students can purchase my books. I sign every book with a personalized message for each student.